Meanwhile, the S&P BSE Sensex was up 15.69 points, or 0.04% to 38,601.04. On the BSE, 2.51 lakh shares were traded in the counter so far compared with average daily volumes of 2.21 lakh shares in the past two weeks. The stock had hit a high of Rs 457.80 and a low of Rs 447.10 so far during the day. The stock hit a 52-week high of Rs 852.55 on 30 April 2018.  The stock hit a 52-week low of Rs 375 on 14 February 2019. Wockhardt has received approval from the United States Food & Drug Administration (USFDA) for an abbreviated new drug application (ANDA) for 50 mg injection of Decitabine, which is used to treat certain forms of cancer. Wockhardt's Decitabine injection is a generic version of Dacogen, marketed in USA and other countries by Otsuka. Wockhardt will be launching this product in the United States, in a short period of time. With its nationwide distribution network and its excellent relationship with all major trade, retail and institutional customers, Wockhardt is already a significant player in the US pharmaceutical market. The product is being manufactured at a contract manufacturing facility, based near Hyderabad, India. On a consolidated basis, Wockhardt reported net loss of Rs 76.86 crore in Q3 December 2018 as against net loss of Rs 42.55 crore in Q3 December 2017. Net sales rose 4.03% to Rs 1045.86 crore in Q3 December 2018 over Q3 December 2017. 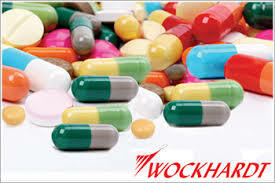 Wockhardt is a global pharmaceutical and biotech company employing over 9,000 people and 27 nationalities with presence in USA, UK, Ireland, Switzerland, France, Mexico, Russia and many other countries.